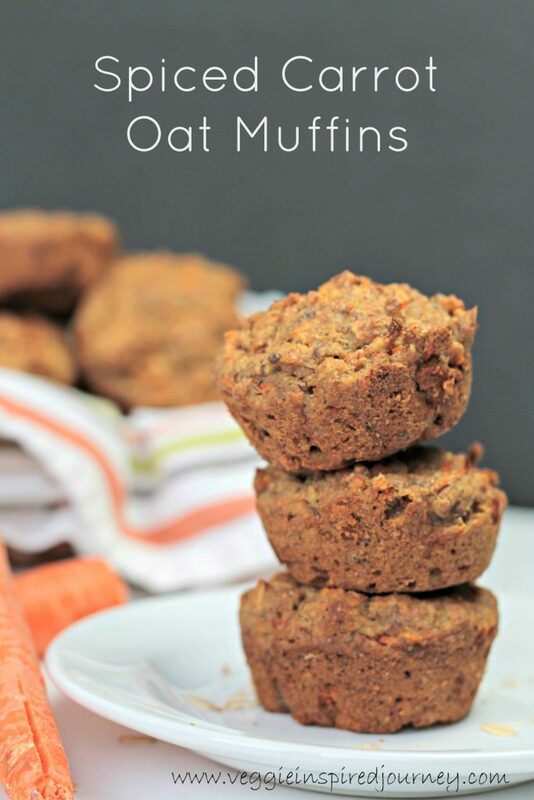 Spiced Carrot Oat Muffins – Loaded with healthy ingredients, you won’t feel guilty eating more than one of these delicious muffins. Sometimes I get so sick of sending sandwiches with my son in his lunchbox. I like to come up with easy to pack recipes that are healthy, but still fun for an almost 7 year old. It’s easy to sneak fruits and veggies into baked goods. It’s even easier to store them and toss them into his lunch when needed. Baked goods generally freeze pretty well too, so they are great make-ahead recipes. 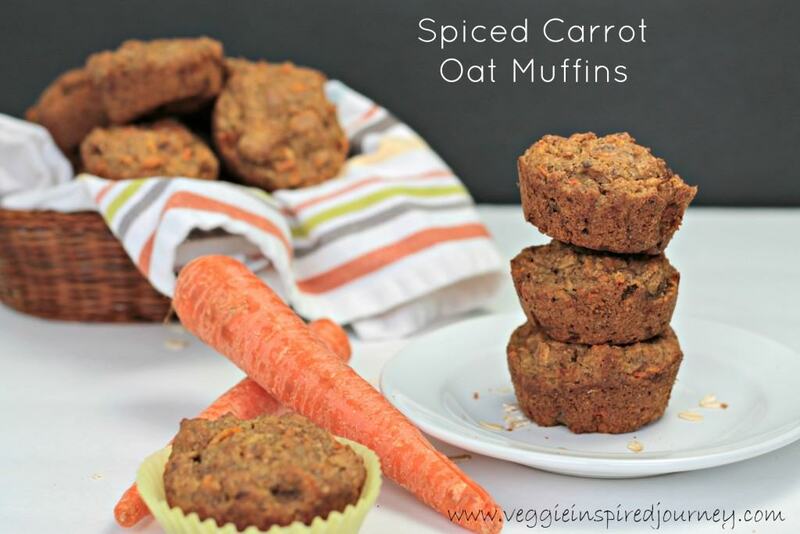 These Carrot Oat Muffins were a hit with my son, but an even bigger hit with my pickiest 3 year old twin daughter! Score!! 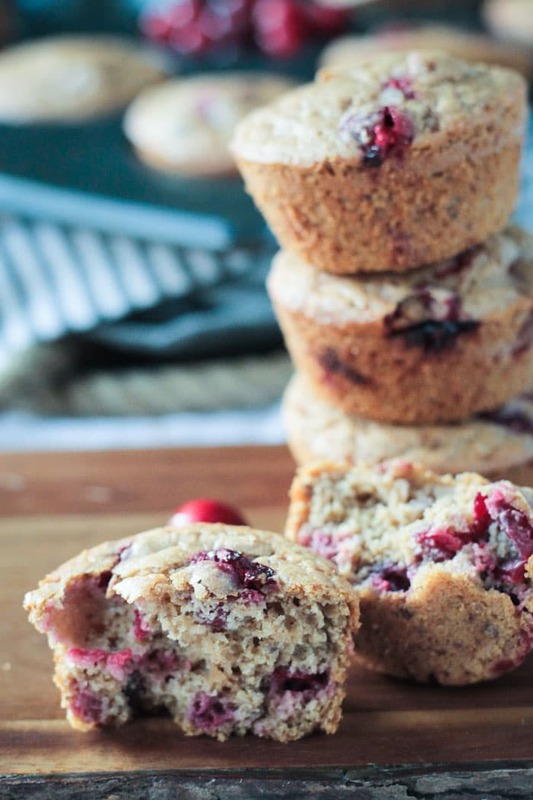 There is a bit of sweetener added, but overall these muffins are healthy. Chock full of carrots, apples and oats, you won’t feel guilty eating more than one! Because they are made with such fresh ingredients, store them in the fridge, but I like them best heated up just a bit. 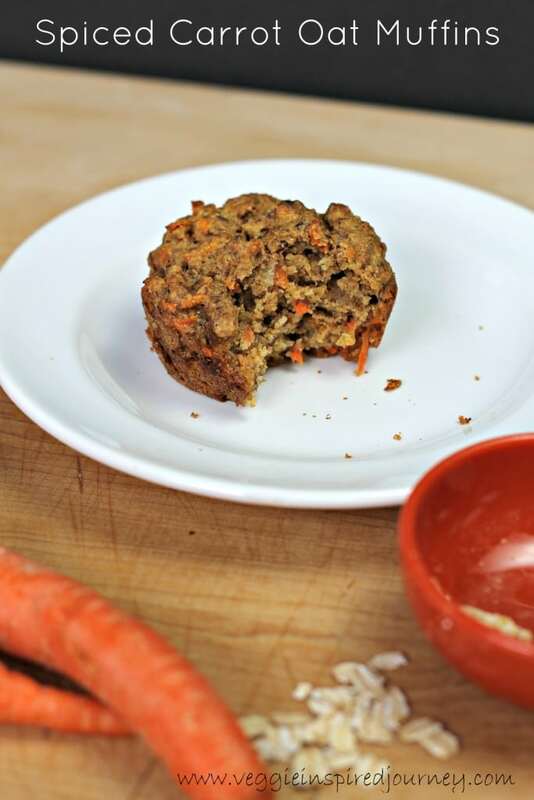 I hope you love these Carrot Oat Muffins as much as we do. If you try them, please come back and leave me a comment below with your feedback. You can also find me on social media. Be sure to tag @veggie_inspired and #veggieinspired so I’m sure to see it. Enjoy! 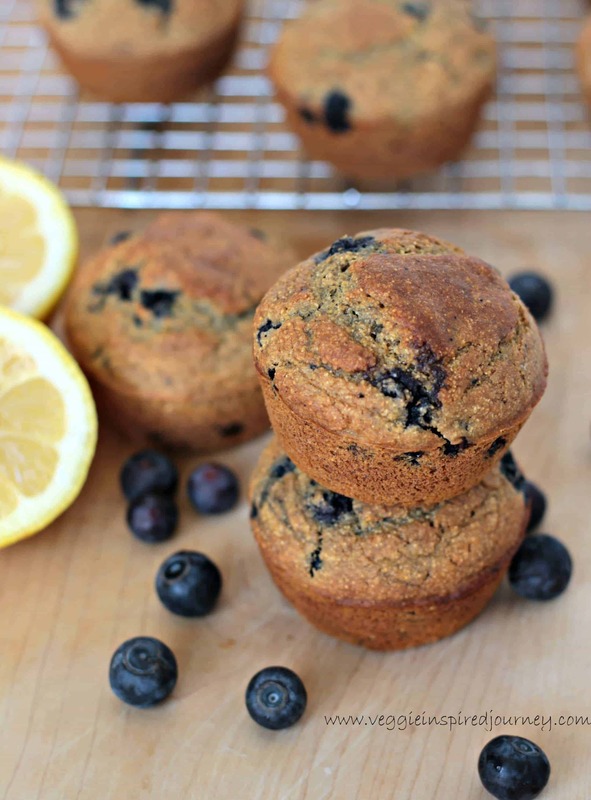 Loaded with healthy ingredients, you won't feel guilty eating more than one of these delicious muffins. Spray or line a 12 count muffin pan. In a large bowl, whisk together the applesauce, coconut oil, vanilla, maple syrup and soy milk. Bake for 30-40 minutes, until a toothpick comes out clean. (I baked mine for 35 minutes, but all ovens vary a bit). Oh, thank you so much! I love sending healthy muffins in his lunchbox instead of sandwiches sometimes. Gotta mix things up to keep it interesting! These muffins are WONDERFUL!!! The term “picky eater” doesn’t accurately describe the depth of his eating issues but, he will gobble these down! He even likes to help me make them. I’m so happy to hear this, Layla! Glad your little guy loves them! And, how cute that he likes to help you in the kitchen. Love it!! Thanks for sharing your success! !